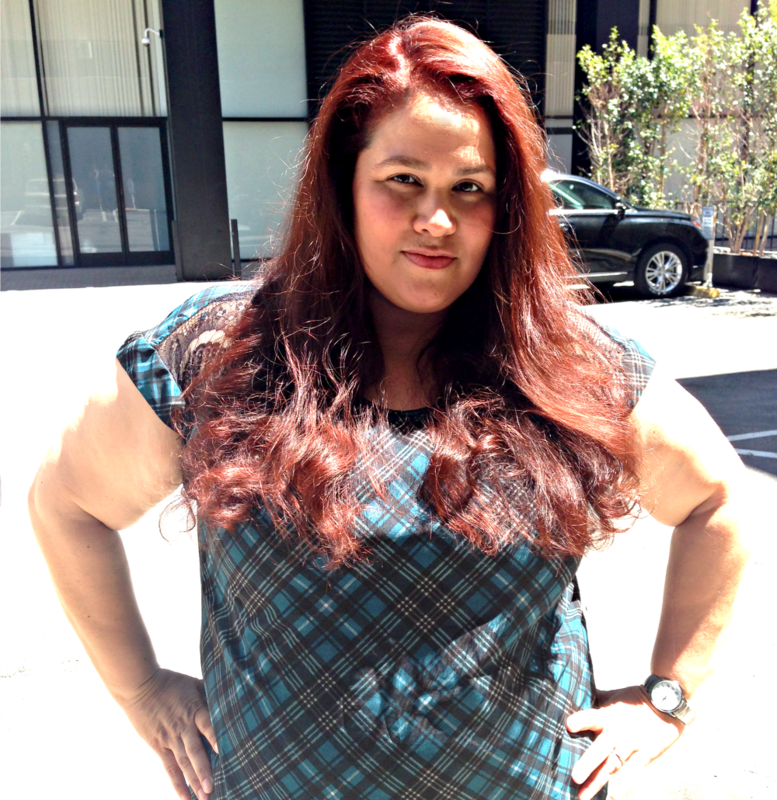 Why is it that woman obsess about their hair? We never seem to be satisfied with what nature gave us. I know I'm one of those women...my hair is naturally very curly. As you can imagine I have always wanted straight hair. Yet oddly enough I have never really done much to get my hair straight. I have taken the natural approach to my hair for over 10 yrs, no dye, no straightening or blow-drying. I am the wash and go type of gal when it comes to my hair. Mostly due to the side affects of damage, I have seen in others when they over style their hair. My curly hair is already prone to be dry and can get very damaged, so I just let it be in its natural state for many year. My hair before the Nelson J touch, natural color and curls. After all these years of just having my hair in it's natural color and curls, decided I needed a change. May be its getting a year older and the mid life crisis has begun, but this year I took a leap and made a big change (for me) to my hair. I was invited to the Nelson J Salon for a little hair make over. So imagine after so many years of not doing a single thing to my hair, I was quite nervous and excited. Had no idea what I wanted to do with my hair or what to expect. 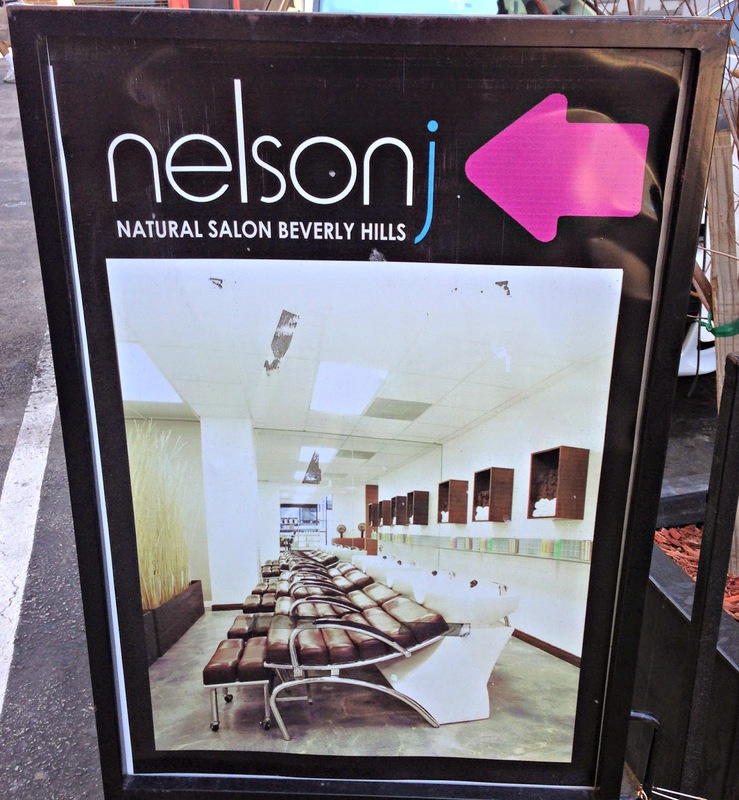 My appointment was confirmed at Nelson J Salon, no turning back now. OK so let me start off by telling you that beside not having done anything to my hair for about 10 yrs, I haven't gone to a salon for a cut either. My last visit at a salon was very bad and ever since then its been my mother or my self who trimmed my hair. I know sounds silly, but believe me its not as easy as you think to find a good hair stylist to cut curly hair. So I was totally nervous about my salon visit. Especially when I found out the salon is located in the heart of Beverley Hills! Eek!! To be honest I was expecting to arrive at a snobby Beverly Hills salon and anticipating an uncomfortable visit. Can I just tell you that it was the complete opposite of what I had imagined. 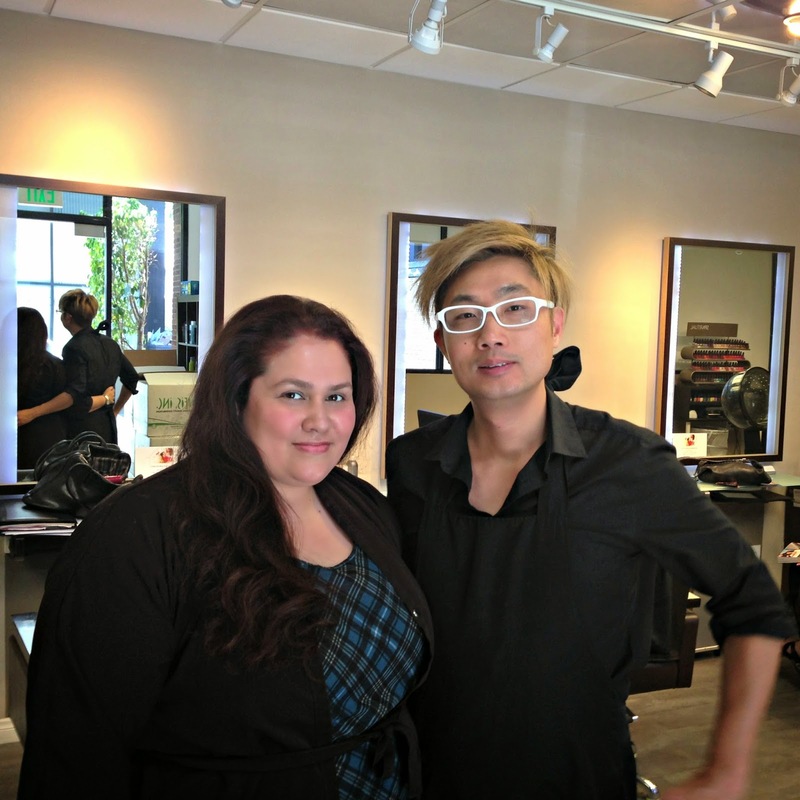 Once I arrived at the salon the staff welcomed me and were all very nice and friendly. I was greeted immediately and taken to a chair, they even offered me anything I wanted to drink. Nelson J came to introduce him self and we talked about what color would be best for my hair. I really didn't know what I wanted, but with Nelson's expertise chose a color he felt would look good on my hair. Him and an assistant worked on my hair and added the hair dye. I was relieved to know the Nelson J salon is certified Aveda Salon, which means the products used are naturally derived and better for your hair. 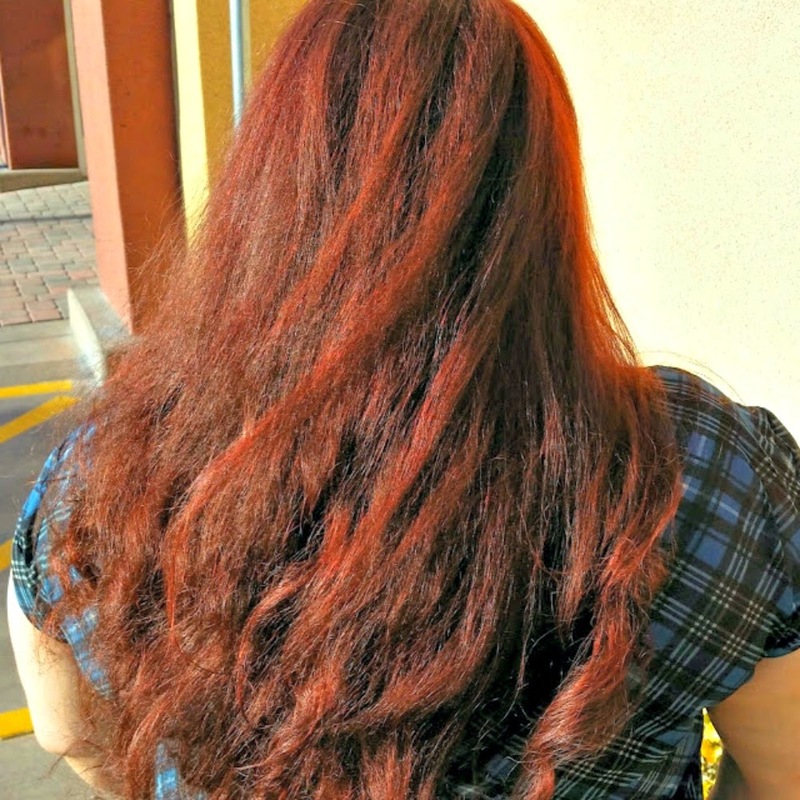 The color used on my hair was Aveda Hair Color in Auburn, which is 99% derived from plants and did not smell awful like most other hair dyes. After my time was up another assistant rinsed off the hair dye and washed my hair using Nelson J's own hair care products. She used Argan Oil 7 Moisture Healing Mask in Pomegranate Scent, which smells so good. It totally made my hair feel so soft and shiny. After my wash and treatment, back to the chair for a blow out. 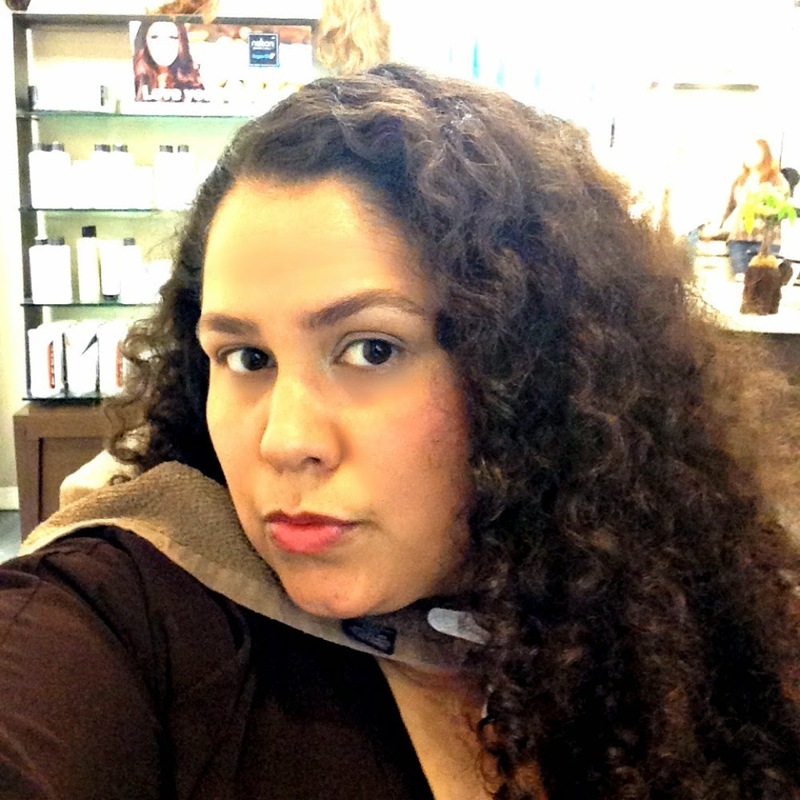 Between Nelson J and his assistant stylist they manged to get my crazy curls super smooth and straight. The end result of color and blow out was AMAZING!! I was shocked at the results and could not stop looking at my self in the mirror, so vain of me! Couldn't help it, my hair looked so good and I owe it all the magic of Nelson J and his staff. Me with the one and only Nelson J! *Disclaimer: I was invited to receive a complimentary salon visit by Nelson J Salon. All opinions are my own and no compensation was received. Huge difference. You look like another person. I really love the color on you. They did a great job. I love that color on you! And to see your hair straightened is so cool. You look great! Gorgeous! I do love it when my stylist goes to the trouble to straighten my hair too; but its not nearly as curly as yours. Just think, now you have 2 great go-to looks, curly and straight; and they both look stunning on you! What a transformation! I plan to do the same thing this summer myself but I'm also chopping off a ton so this definitely gave me some inspiration!